Hobbywing QUICRUN WP-880 Dual 80A Brushed ESC 1/8 1/10 RC Buggy Rock Crawler 4x4. 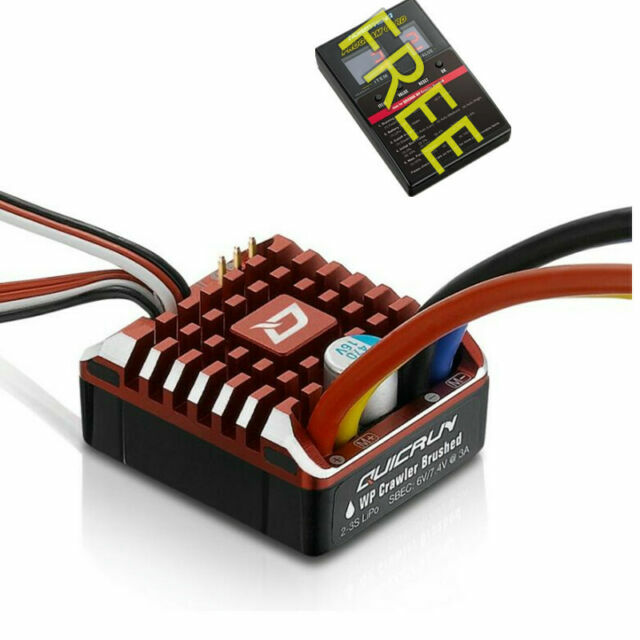 Hobbywing EZRUN XERUN QUICRUN Programing Card PC2C Brushess ESC 1/12 1/8 1/10 RC. Hobbywing EZRUN 3660 G2 Brushless Motor SL 3200KV 1/10 RC CAR TRUCK BUGGY SCT EP.